Why did the USSR invade Afghanistan? There are three main, interrelated reasons. 1. Afghanistan borders Soviet Republics and was thus an integral part of Soviet access to overland routes for moving resources, personnel, and trade throughout Middle East. 2. The Soviets wanted to keep Afghanistan under communist-esque rule by Soviet and Marxist sympathizers. Part of Soviet communist ideology is that communism is an international enterprise, destined to become the one true political and economic system of the world. Countries that are communist should be linked – politically, economically and militarily – to maintain successes of the Communist revolution and stave off competing ideologies, such as capitalism and Western democracy. Propping up a communist-like regime made that regime beholden to the USSR and thus easier to control. 3. The Soviets feared larger consequences of what happened in Iran — Iranian Revolution in 1979. With the fall of the Shah came the installation of an Islamic theocracy hostile to Soviet anti-religious culture and political and economic interests. They did not want that to happen in Afghanistan. In the midst of all this was the Cold War. The Cold War was a battle between the USSR and the U.S. It consisted of propaganda and proxy wars, i.e. wars fought by rival factions in other countries with U.S. or USSR resources, in which personnel of the U.S. and the USSR did not come into direct contact. Its origins are in dispute, but most agree that it was in full swing as soon as World War Two ended, and the Truman Doctrine of containment was born. Vietnam was a proxy war, where the Vietnamese, struggling to become Communist, was aided by the USSR. Vietnam was long and costly to America, in terms of personnel and materiel. All told, 8.7 million men and women were involved militarily in Vietnam, where over 153,000 were wounded and, according to the Department of Defense, 58,267 men and women died or remain missing in action. In 2008 dollars, the Vietnam War cost 686 billion (as compared to the Iraq War 2003 – present, which has cost 648 billion and counting). See http://www.globalsecurity.org/military/ops/casualties.htm and http://www.defense.gov//news/newsarticle.aspx?id=59020 and http://www.cbsnews.com/stories/2008/07/25/national/main4296368.shtml. Zbigniew Kazimierz Brzezinski, National Security Adviser to President Jimmy Carter, writes memo to Carter, urging US involvement to make the Soviet war “their Vietnam.” After Carter’s defeat in 1980, Reagan and William Casey, director of CIA starting in 1981, saw the Soviet-Afghan war, and the Cold War, in moral/religious/good vs. evil terms. Casey and others were determined to convince the White House and Congress to escalate the CIA’s operations in Afghanistan. Who were the main players involved? The Afghan rebels and mujahedin; U.S. government through the CIA, White House and Congress; Pakistan; and Saudi Arabia. The Soviets and the Afghan government. Who were the Afghan rebels and who were the Mujahedin? Afghan Rebels: Afghan rebels were Afghan nationals fighting their pro-communist, Soviet-backed government. They refused to do suicide operations. 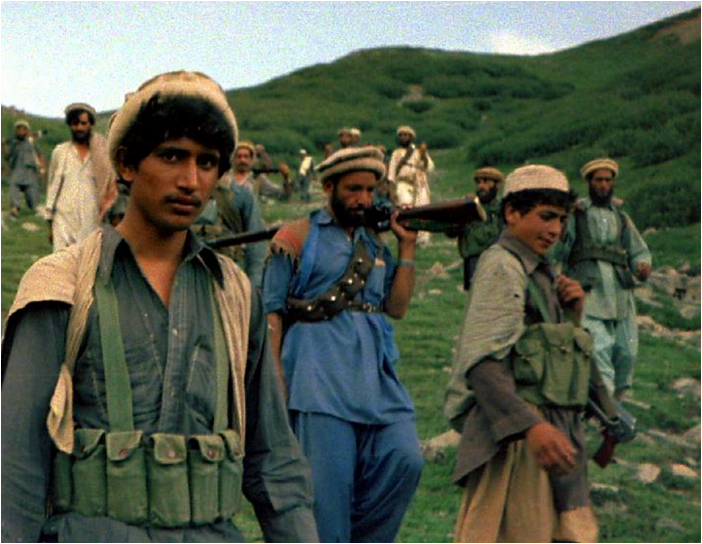 Mujahedin: Mujahedin were foreign fighters, sometimes called Afghan Arabs, who came from neighboring countries and other states with large Muslim populations to “wage Jihad,” or “struggle.” Some answered call for jihad, others were young men looking for adventure. Mujahedin were doing this for more overtly religious reasons than Afghan rebels who wanted in their control their cultural and religious traditions and their country. The religious ones were more willing to do suicide operations for “martyrdom,” but not all did. Some were quite eager (Looming Tower). Later, the mujahedin spawned the Taliban (“Students”) who came from Madrassas, or religious schools in bordering Pakistan. Mullah Omar emerged as leader of Taliban. How was U.S. involvement managed? The CIA managed U.S. involvement in the Soviet-Afghan War with massive amounts of government resources. The CIA sent money and, later, weapons (Stinger missiles), through Pakistan’s Inter-Services Intelligence (ISI), which then reached Afghan and Arab fighters. Saudi Arabia, through their intelligence agency headed by Prince Turki Al-Faisal, matched US funding. Stinger missiles helped turn tide of war. US also provided training to rebels. Where did the money come from? The US and the Saudis provided major amounts of funding to the rebels. Money also came from private sources; for example, some funding was provided and facilitated by UBL. From all available evidence, it appears that the CIA probably did not directly fund UBL, but clearly, his efforts were enhanced by US government funding all around him. Clip from Charlie Wilson’s War (10 minutes long). Charlie Wilson facilitated the massive escalation by increasing congressional funding. The U.S. considered and, possibly, condoned tactics amounting to terrorism against the Soviets. U.S. direct role in terrorism has not been substantiated, but their indirect role is clearly established. Definitely, they supplied Afghan and Mujahedin fighters in their war, and these fighters used terrorism. Examples of evidence from Coll: “ISI-supplied Afghan guerrillas detonated a briefcase bomb under a dining room table at Kabul University in 1983, killing nine Soviets, including a female professor… mujahedin commandos later assassinated the university’s rector” (132). Bombs, snipers and other assassination techniques were applied. Legally, the CIA tried to avoid sending any “dual use” weapons that could be used for “criminal enterprises” such as assassinations, which the US officially banned as a policy after the 1960s. The U.S. government engaged in many of the same debates going on now about preemptively striking targets and what constitutes acceptable interrogation techniques. (136). This produced weird directives: “… a compromise was reached: the guns could be shipped to Pakistan, but they would be stripped of the night-vision goggles and scopes that seemed to tilt their “most likely use” toward assassination. Also, the CIA would not provide the ISI with target intelligence from satellites concerning where Soviet officers lived or how their apartment buildings might be approached stealthily” (137). (see Wright’s Looming Tower, “The Man Behind bin Laden” (TMBBL) http://www.lawrencewright.com/art-zawahiri.html, the 9/11 Commission Report and Coll’s Ghost Wars). Osama bin Laden was born in Saudi Arabia (1957), one of 25 children. His father, Mohammad bin Laden, built the bin Laden fortune through construction contracts: he built roads, bridges, mosques and other permanent structures in Saudi Arabia. His ability to help modernize Saudi Arabia made Mohammad a key patron of the Saudi royal family, and the stature of the bin Ladens was very high. UBL became very devout at an early age. He was raised with enormous wealth. In his early 20s bin Laden went to Afghanistan to help the resistance, financing the effort and building infrastructure for training rebels, including training camps. UBL is a very charismatic figure, soft spoken and erudite, with an air of authenticity and integrity. He became a legend in the resistance, mostly due to his wealth and willingness to spread the wealth around, not necessarily for his fighting acumen. He often takes credit for many key events, whether he was personally involved or not and the stories of UBL personally fighting and near-death-experiences helped to build his reputation, and his myth. Bin Laden was media savvy, seeking journalists to follow his Afghanistan exploits. For example, journalists recorded a fierce attack by the Soviets on his training camp; bin Laden survived and was seen as someone with an almost magical ability to escape death. Through his legend, bin Laden eventually built a large and loyal following. — A man who successfully defies world powers – first the Soviets, then the Americans — through his religious faith and devotion. In Afghanistan, UBL met his future second-in-command Dr. Ayman al-Zawahiri. Zawahiri, slightly older than bin Laden, was a surgeon from a notable Egyptian family, also a member of the educated classes. Zawahiri styles himself a political and religious thinker, but is mostly known for his organizational abilities; he channeled bin Laden’s idealism into organizational goals and structures. Zawahiri needed bin Laden’s financial resources, skills at soliciting donations and legend to further his own goals. “Zawahiri formally sealed his new alliance with bin Laden on February 23, 1998, when Zawahiri’s name appeared as one of the signatories on a document published in Al-Quds al-Arabi. The document announced the formation of the International Islamic Front for Jihad on the Jews and Crusaders” (TMBBL). Zawahiri tried to maintain an independent organization, but through pressure from the Egyptian government and Zawahiri’s lack of charisma and finances, he was unsuccessful. It wasn’t until 2001 that Zawahiri, his own organization poorly finances and ideologically fragmented, formally joined al Qaeda with bin Laden. “Zawahiri’s continual efforts to maintain a semblance of autonomy ended in June, 2001, when Islamic Jihad and Al Qaeda merged into a single entity, Qaeda al-Jihad” (TMBBL). What is UBL’s role in international terrorism and what is the purpose of al Qaeda? As with his role during the Soviet-Afghan war, UBL’s role afterward was to finance terrorist acts. He was not much of a planner or administrator, as far as is known. But he had influential and – in terms of meeting intended goals — successful ideas about what kind of acts should be performed and what kind of acts are most likely to succeed. UBL and several others formed al Qaeda in August 1988, toward the end of the Soviet-Afghan War. The name al Qaeda, meaning “base,” was kept secret for many years. Al Qaeda went from an organization designed to defend Muslim lands to one who wanted to subvert the West. Al Qaeda is an organization, an enterprise dedicated to conducting terrorist operations. Employees had to sign an oath of loyalty to al Qaeda. There is seniority and hierarchy. It has an organizational structure, with UBL and Zawahiri as the Presidents and CEOs; some employees are accountants, some are body guards, some are recruiters, some are military advisers and scouts providing intelligence, some are couriers, and others are on payroll awaiting missions. There are various committees: military committees evaluate terrorist strikes; law committee reviews Islamic law to make sure their practices are in accordance with their view of Islamic law. The have meetings and notes are taken. They have a media and internet center to promote their actions and recruit new members. The three grievances: Arabia, Iraq, and Jerusalem. Secondarily, UBL was concerned with Israel and its policies toward the Palestinians in Gaza and West Bank. How does al Qaeda justify mass murder of civilians? Like other terrorist groups, al Qaeda engages in an asymmetric war; they don’t have the military capacity of states, so they engage in terrorism. Some terrorists will only strike military targets. Some terrorists do not want to kill people, but rather blow up buildings and other structures (Weather Underground). Some terrorists want to blow up structures and kill people. How to justify who lives and who dies? UBL and Zawahiri decided to make distinctions between groups. The only ones exempt from being intended victims of terrorist acts are those who agree with their interpretation of Islam. All others are fair game. They argue that non-Muslims are fair game because of their at least tacit support of the subjugation of Muslims worldwide. Muslims who do not agree with their interpretations are fair game because they are not true Muslims (Takfir is the declaring of who is true Muslim and who is not). Therefore, anyone – including women and children — are fair game for terrorism. Considering that even true Muslims as defined by them will die in suicide missions, UBL and Zawahiri and other senior al Qaeda personnel – who would never go on suicide missions — are the only ones who would not die from a terrorist strike by al Qaeda. The Looming Tower portrays UBL as a man in love with his own legend, yet seeking practical ways to achieve his goals. UBL was a charismatic figure, but ran failing businesses. He was best at convincing others to send him money and keeping a retinue of followers. Truly, he was unique among Arabs, as a man from enormous wealth who freely spent his money in charitable causes for Muslims, combined with his willingness to go into wartime Afghanistan. He would build and visit hospitals, give lectures at mosques. He modeled himself on the Prophet Mohammad. He took many wives and fathered many children. Audio recordings of bin Laden recorded by al Qaeda members and found in bin Laden’s neighborhood of Khandahar, Afghanistan, reveal more into his personality. “On the tapes, the world’s most-wanted terrorist can be heard speaking at a wedding and, in another case, reading his own poetry. In his poems, Mr. bin Laden paints himself as a cosmic warrior, transcending time and distance, slaughtering infidels in the ninth century.” http://chronicle.com/article/Before-Martyrdom-Breakfast/63689/. Bin Laden was usually quiet, reserved, thoughtful. Emboldened by the standstill that was the Soviet-Afghan War, and by his own myth, UBL was at times unrealistic in his belief that faith can overcome anything. For example, UBL was incensed over the relatively secular Saddam Hussein government’s invasion of Kuwait in 1991. UBL was frustrated with Saudi Arabia for rebuffing his plan to “defend the holy land” with reconstituted mujahedin fighters and going with US coalition forces instead. “We will fight them with faith,” bin Laden replied. Hussein had the fourth largest army in the world. When bin Laden presented his plan to Prince Turki, “the prince laughed in disbelief.” This contributed to UBL’s animus toward Saudi Arabia and the U.S.
Bin Laden left Afghanistan for the Sudan, arriving in 1992 (LT “Paradise”). Sudan, an incredibly poor country, home to the current Darfur crisis which was — though not officially, yet in reality — a genocide. There was an ongoing civil war between the Arab north and the black Christian south (now South Sudan). Sudan welcomed the rich Sheik with open arms. Bin Laden built roads and other infrastructure, started businesses and employed many Sudanese. He paid well and he stayed out of the civil war. Bin Laden loved the quiet life in Sudan, enjoying taking care of horses and, especially, farming. To many of his friends “he said he resolved to quit al Qaeda altogether and become a farmer” (192). 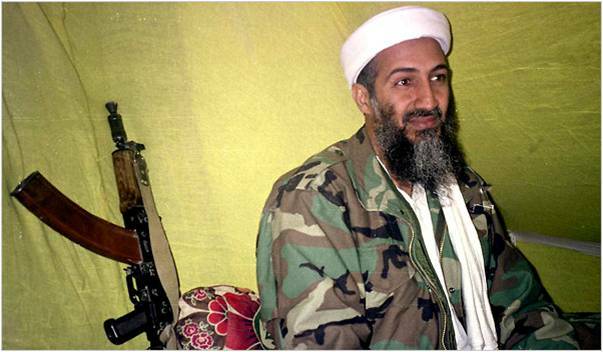 “In 1995, bin Laden began to have second thoughts about his life. He was struggling to keep his businesses afloat and his organization from flying apart. He… was paralyzed by the unfamiliar predicament of being broke” (LT: 226). His Saudi allowance was cut off. He struggled to meet payroll. He wanted to go home to Saudi Arabia. But his constant criticism of Saudi royalty and his refusal to disavow violence put him at odds with the government, and they refused to take him back. Bin Laden financed efforts of Muslim fighters in Yemen to overthrow the socialist government there. Saudi Arabia had a long and difficult history with their southern neighbors and was angry at bin Laden’s meddling. After several feuds and threats, in 1994 the Saudis took bin Laden’s passport, banishing him from the Kingdom. Bin Laden, “emboldened by the success of the “Black Hawk Down” incident in Somalia… escalated his campaign against America. In November of 1995, Al Qaeda bombed the National Guard communications center, in Riyadh, where American troops were training Saudis in surveillance methods. Five Americans were killed. Al Qaeda struck again in June of 1996, with a bombing at the Khobar Towers dormitory, in Dharan, Saudi Arabia, which killed nineteen American servicemen. (U.S. intelligence officials suspected that Iranian extremists were responsible, but they subsequently learned that Zawahiri called bin Laden immediately afterward to congratulate him on the operation. )” (TMBBL). The U.S. pressured Sudan to expel UBL. The US knew UBL was involved in the failure of American forces in Mogadishu and attacks around the world. The 1993 attack on WTC was not directly pinned to UBL, but it was perceived to have come from al Qaeda sympathizers. According to some sources, Sudan offered UBL to the U.S., but the 9/11 Commission “found no credible evidence that this is so” (110). The US did not intervene in UBL’s immigration to Afghanistan. “In May of 1996, bin Laden chartered a jet and took a number of his colleagues, along with his ever-growing family, to Jalalabad, in eastern Afghanistan. The expulsion from Sudan reportedly cost him three hundred million dollars in lost investments” (TMBBL). Sudan owed him 20 million dollars, but refused to pay (252). Once in Afghanistan, he sought alliances with the Taliban (LT: “Hijira”). Its not clear how he built up his money supply again, but soon enough he was able to acquire buildings and drive around in limos, keeping a retinue of followers and bodyguards. The Taliban liked that UBL was willing to spend money in Afghanistan and support the Taliban cause. They formed a partnership: UBL would help legitimize the Taliban and spend money on them, and the Taliban would protect him. In 1998, al Qaeda bombs the U.S. embassies in Kenya and Tanzania. In retaliation, “President Clinton ordered an attack on bin Laden’s training camps in Afghanistan, and also on a pharmaceutical plant in Sudan that was thought to be manufacturing a precursor to the lethal nerve gas VX. American warships in the region fired seventy-nine Tomahawk cruise missiles into Afghanistan and Sudan. A subsequent investigation established that the plant in Sudan was making Ibuprofen and veterinary medicines, not poison gas; the strike killed a night watchman. In Afghanistan, the attack failed to hit its main targets—bin Laden, Zawahiri, and the other Al Qaeda leaders” (TMBBL). In October 2000, al Qaeda bombs the USS Cole. On 9/11, bin Laden, Zawahiri, and their fellow travelers left Kandahar and headed to the mountains, “where they listened to an Arabic radio station’s news flashes about the attacks on the World Trade Center and the Pentagon” (TMBBL). In the 1980s, the U.S. looked favorably on anyone who helped the Afghans draw out, or even win, the Soviet-Afghan War. The CIA sought to help the recruitment of Arabs to the conflict. Bin Laden was one of those who was “helping.” In 1985-6, Chief of CIA station in Islamabad, Pakistan (Milt Bearden) “felt that bin Laden himself ‘actually did some very good things… he put a lot of money in a lot of the right places in Afghanistan.’ Bin Laden was not regarded as ‘someone who was anti-American’” (Coll: 155). Throughout the 1990s, the U.S. slowly but surely took increasing notice and a dim view of UBL. But it wasn’t until 1996 that the U.S. government understood UBL’s role in the new “stateless terrorism,” and wasn’t until a little after that that UBL was the most important player. In 1996, the CIA formed a “bin Laden Unit” (UBL Unit) dedicated to finding out about, and finding, bin Laden. In 1997, the UBL Unit realized the extent of al Qaeda’s financial and organizational capabilities. Soon, the WH had a counter-terrorism unit that also pursued bin Laden, led by Richard Clarke. Clarke and others became obsessed with bin Laden, convinced that this was a unique individual capable of inflicting great harm to U.S. citizens and interests. President Clinton ordered the capture or killing of bin Laden, and on occasion came close to authorizing a direct strike on an UBL location, most notably at Tarnak Farms (9/11 Commission: 111-115). According to Coll, the WH repeatedly refused to send cruise missiles or Afghan raiders into suspected UBL hiding places, as they insisted intelligence was not good enough. The UBL Unit says it was good enough, but Richard Clarke (WH Counterterrorism) and Tenet said the intel was not actionable. Clinton was also worried about collateral damage, especially loss of life to people not directly affiliated with bin Laden but who, by some quirk of fate or other reasons one can impute, were near him, Saudi princes included. There were also political considerations: Clinton was a lame duck since 1998, which made it difficult – in the pre 9/11 era — to authorize broader military action. The failure to act caused much second guessing until 2011. In any case, prior to 9/11UBL ranked behind WMD in White House concerns from Clinton to George W. Bush. Clinton wasn’t the only one who had close calls in assassinating bin Laden: George W. Bush had a close call in 2001 and again in 2007. After 9/11, the U.S. had intensified the search, and in December 2001 the military had him pinned down in the mountains of Tora Bora. Again, UBL avoided capture. In 2007, the Bush administration got wind of a high level meeting of many members of al Qaeda, “akin to a congress of Mafia dons,” again in the mountains of Tora Bora. As per usual, some thought the intel was actionable, and others disagreed. The U.S. prepared for a large military strike, instead of a small raid. At the last minute, the large military strike was called off: According to a top military officer, “It was not precision-targeted. There was no way to separate the Al Qaeda leadership that might be on hand, and the fighters, from the local population and the camp followers.” In the end, a small raid was conducted, “killing several dozen militants in the episode.” Another chance turns into frustration. (More details about this raid are also available in the book, “Counterstrike: The Untold Story of America’s Secret Campaign Against Al Qaeda,” by Schmitt and Shanker, reporters from The New York Times). News of UBL’s whereabouts were closely hidden by a rapidly growing intelligence community and a U.S. government determined to hunt terrorists where the goal was no longer capture: “I want justice,” Bush said. “And there’s an old poster out West I recall, that said, ‘Wanted, Dead or Alive. '” http://articles.cnn.com/2001-09-17/us/bush.powell.terrorism_1_bin-qaeda-terrorist-attacks?_s=PM:US. There would be no hemming and hawing over whether to kill or capture bin Laden: for the Bush administration, and the Obama administration afterwards, assassination was acceptable, perhaps even preferred. For example, the Obama administration has approved a “targeted killing,” A.K.A. assassination, of Anwar al-Awlaki, an American suspected of having close ties to al-Qaeda and helping them plot terrorist activities. It is safe to say that bin Laden himself would get no better treatment. By most accounts, after U.S. and international efforts after 9/11, the structure of al Qaeda radically changed. It became more difficult to finance operations, and key members were captured and killed. Branch organizations and independent organizations aligning themselves with al Qaeda became the norm. Life was difficult yet, most likely, ego-gratifying for the man who helped create the post-9/11 world. Some cite the idea, suggested in Looming Tower and elsewhere, that bin Laden was ill, possibly from a kidney disease. From this they assume bin Laden died sometime after December 2001, in a cave somewhere in Waziristan, the mountainous region bordering Afghanistan and Pakistan, unable to be treated in a proper hospital. Conspiracy theorists assumed he was dead and that the U.S. knew it. As time went on, and as U.S. efforts continually failed to find bin Laden, bin Laden simultaneously faded from the intense public scrutiny and solidified his status and legend. UBL’s terrorist attack on America and his ability to avoid capture afterward fueled the legend that he, more so than anyone, can successfully defy the world’s greatest powers. That UBL was alive with whereabouts unknown became a recruitment point. It also helped critics of President Bush and, later, Senator Obama’s criticism of Senator McCain in the 2008 election: “John McCain likes to say that he’ll follow bin Laden to the Gates of Hell – but he won’t even go to the cave where he lives” (2008 DNC Speech). 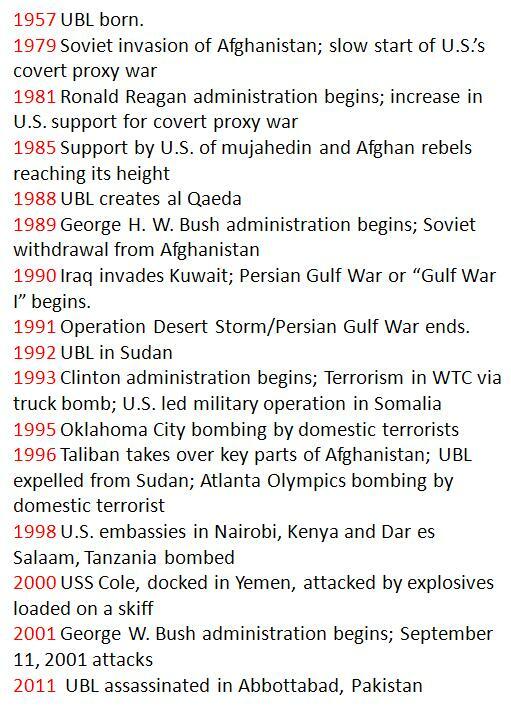 America and the West transformed UBL from a nefarious terrorist to the World’s Worst Person, putting him on par with the most hated people in history: Hitler, Stalin, Pol Pot and Osama bin Laden. UBL helped fuel this transition. There are few parallels in U.S. history to UBL, who, as a single individual, became associated with a hated ideology and a tragic event. Hitler may come close, but Nazism became the focal point. Communism had no single face, and Americans never feared Stalin to the extent to which they feared UBL. Some argue that UBL serves a useful purpose as a person on whom an entire ideology, an entire reason for war, can be pinned. Some argue that the U.S. government hyped UBL’s role in 9/11 to put a face on the “War on Terror.” Whatever the process, UBL became synonymous with 9/11 and Islamic extremism and terrorism. This place of fear and loathing is where UBL stood in the American consciousness until the evening of May 1, 2011. If we are to categorize this event, we would have to call it an Act of Vengeance. Acts of Vengeance are felt to be Acts of Justice: a wrong has been committed, and the perpetrators will be punished. American culture is filled with the sense of justice: Crime shows are very popular: Law & Order, Cold Case Files, CSI. To Americans, the capture and, at times, killing of perpetrators feels right. The form of justice depends on the crime. America is very much an eye-for-an-eye society, and remains one of the few Western nations that supports the death penalty. In the American consciousness, the murder of almost 3,000 people on American soil is a heinous crime, deserving of death. That nations conduct international manhunts and exact vengeance is not new, nor is it the province of the U.S. Close parallels are Israelis hunting former Nazis, and their hunting and killing of the members of the Black September terrorist group that killed Israeli athletes in the 1972 Olympic Games in Munich (on which the Spielberg film, “Munich,” is based). The U.S. and France hunting and capturing Ilich Ramírez Sánchez, AKA “Carlos the Jackal,” is another example. Another closest precedent – in time and in form — to this event in the American consciousness is the capture of Saddam Hussein in 2003. Yet, even though Saddam Hussein killed many more people than UBL, his capture and death was not nearly as momentous. Saddam killed comparatively few Americans; most of his victims were Kurds and political dissidents in Iraq. Like other Acts of Vengeance, neither capture nor death truly ends the conflict. It is too early to assess long term, or even meaningful short term impact. UBL’s death is tied to patriotism. The manner of his death – killed by elite U.S. military – elicits feelings of patriotism and pride in the country. For many Americans, this Act of Vengeance was a “success” and proves that America is still the greatest country in the world. Around the country people publicly celebrated the death of UBL by chanting, singing, waving home-made signs and “whooping.” This is unique, as never before had Americans celebrated a person’s death (or capture) like this. Americans did not celebrate the capture and death of Saddam Hussein, for example. That Americans publicly celebrated became a polarizing issue: some, especially those who celebrated, see it as appropriate; others, who did not celebrate in this way, feel it inappropriate. There is no demographic typology of celebrators vs. non-celebrators (age, race, ethnicity, gender, religion, political views, etc.). One article said that, of the WH celebrators, “The crowd was mostly young people, many of them students from Washington colleges and universities.” From the pictures I saw in front of the White House and OSU’s Mirror Lake, most of the participants where white. What motivated the celebrators? They acted as if it was a major win in a sporting event. Celebrators mixed patriotism with pride that it was the U.S., and not anyone else, who killed UBL. They were also seeing the killing as a morale boost to U.S. soldiers in Iraq and Afghanistan. Some argue that young celebrators were motivated by a psychological aspect of 9/11 and the U.S> government’s portrayal of what happened. To those born in the 1990s, 9/11 occurred when they were young, in elementary school. According to the theory, these students were scared by 9/11, and over the years, as the U.S. government portrayed the War on Terror as a battle between the U.S. and UBL, UBL became a real-life bogeyman out to harm them and their family. Young adults celebrated the death of UBL as truly the end of something: the end of their childhood fears of the real-life bogeyman. Many others do not subscribe to this theory, but the theory has got some traction in the press. What motivated the non-celebrators? Most of the interviews about it, found in The Lantern and elsewhere, where that celebrating UBL’s death was inappropriate because (a) killing UBL is obviously not the end of the War on Terror and (b) killing a human being, even one so despised, should be treated in a more somber, or sober, way. Religious sentiment and religiosity likely influences whether and how people “celebrate” the death of UBL. As some say, such celebrations are not “a Christian thing to do.” Feeling of national pride and elation may temper, or even override, religious sentiment. Since 9/11, the U.S. has tried to toe the line between the messages that “the entire world is the battlefield for the War on Terror,” “Islamic extremism is harmful to U.S. interests,” and “we are not at war with Islam.” Often, when U.S. kills civilians, as is often the case in war, these messages are garbled and misinterpreted. This will be a short-term morale boost that the U.S. government will draw from and build. It is unclear how it influences the Afghanistan War. Troop draw-down is scheduled for Summer 2011. Already, European countries and some Middle Eastern countries are suggesting that now that UBL is dead, U.S. troops should now withdraw from Afghanistan. Obama has repeatedly said the death of UBL is not the be-all-end-all of the War on Terror, or al Qaeda. The government is interested in whether this will weaken al Qaeda further, and how it will influence the Taliban, and who, if anyone, will try to take the place of UBL. However, a UBL comes but once in a lifetime: it is doubtful that anyone of UBL’s notoriety could emerge any time soon. Perhaps most important is the intelligence they received from the compound in Abbottabad: they seized documents and computers, which they will immediately sort through. The U.S. government has started to release information: mostly home videos of UBL and outlines of plots. Relations with Pakistan, always strained and full of distrust, got worse. For the Obama administration, there is no escaping the feeling that Pakistan knew that bin Laden was hiding in their country: he lived in a huge, walled-off compound near a Pakistani military academy. Pakistan is upset with U.S. government drone strikes in Pakistan and, now, this embarrassment to their military and intelligence services. Pakistan is acting indignant. The U.S. government will maintain relations with Pakistan because (a) they are tactically important in supplying the Afghan war and (b) Pakistan has nuclear weapons and an unstable government, a recipe for disaster. Since most Muslims and Arabs are against al Qaeda and the tactics of UBL, they will be moderately pleased that UBL is no longer the face of terror. Nonetheless, since U.S. foreign policy is not popular there, the death of UBL will not be celebrated as either the beginning or end of anything. It may help, but it is a drop in the bucket compared to the larger War on Terror, which mostly targets them. The U.S. is sensitive to how the assassination of UBL will “look” to Americans and to the Muslim and Arab communities. They released information on the burial, which they claim was according to “Islamic tradition.” There are disputes, still; some clerics argue that burial at sea, in this case, is not permissible. The administration claims that no country would take the body and therefore they had little choice; in the same breath, they claim that they did not want to create a shrine to UBL by burying him on land, though the issue of an unmarked grave has not been addressed. As new details emerge, the handling of UBL’s assassination comes into question. First, the WH admits that UBL was unarmed, though they claim that a weapon is not a necessary condition to be resisting and threatening. It is logical to claim that trained SEALs, especially the elite unit that killed UBL, had more control over the situation and could have apprehended an unarmed man. Next, the New York Times reports that the firefight was very much one-sided: “The new details suggested that the raid, though chaotic and bloody, was extremely one-sided, with a force of more than 20 Navy Seal members quickly dispatching the handful of men protecting Bin Laden. Administration officials said that the only shots fired by those in the compound came at the beginning of the operation, when Bin Laden’s trusted courier, Abu Ahmed al-Kuwaiti, opened fire from behind the door of the guesthouse adjacent to the house where Bin Laden was hiding. After the Seal members shot and killed Mr. Kuwaiti and a woman in the guesthouse, the Americans were never fired upon again.” More details will emerge, and the U.S. government will now have to battle the perception that UBL was executed, rather than shot in a struggle. It seems that in its zeal, the WH released information too soon; the Press Secretary claimed that information mistakes in early reports were part of the “fog of war,” which can be seen as a convenient fiction. Some question his death, and for a time the WH mulled releasing photos of a dead UBL, and even CIA director Panetta said they should be released. But Obama has declared that the photos will not be released. 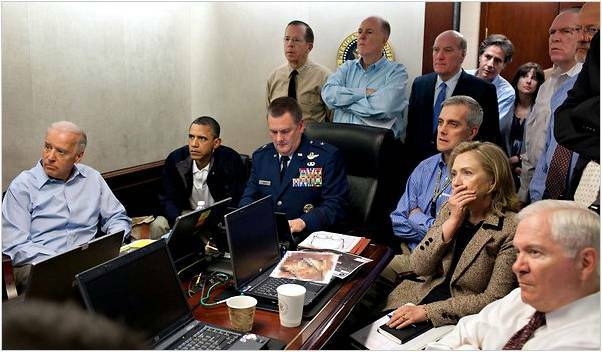 “While some people will insist on denying bin Laden is dead, “the fact of the matter” is that bin Laden will not be seen “walking on this Earth again,” Carney quoted Obama as saying.” Somewhere, there is video of the entire assassination, including the death of UBL; we know because the WH confirmed that such a video exists, that they watched the operation as it unfolded in real time. Already the Republican establishment is pushing the story that Bush era War on Terror policies – enhanced interrogation techniques, in particular – led to UBL’s demise. Cheney said so, as did others. Fact is, there is no good evidence that suggests this is true, especially since the information and where it came from remains classified. Thus, the only use is to (a) rehabilitate the Bush administration, which has increasingly been seen as engaging in excesses and actions that go against human dignity and (b) show that Obama is hypocritical by denying the use of enhanced interrogation techniques, which he referred to as torture, while simultaneously benefiting from it. The far-right are portraying this as a great victory for the U.S. and a day to be proud of. The far-left are skeptical of the manner in which UBL was killed and believe it means pretty much nothing. Both are willing to call it an execution, but for different reasons: the far-right believe in the death-penalty and that such people should be executed, and thus execution is seen as a positive; the far-left are against the death penalty and against executions, and thus execution is used as a negative term. It is unclear how the death of UBL improves Obama’s reelection, but it probably won’t hurt the chances of reelection. The death of UBL forces everyone to reconsider UBL’s legend. Instead of invincibility, UBL proved to be mortal. Instead of being uniquely capable of defying the world’s great powers, he fell like the rest. Some of his legend will still stand: the wealthy man who gave up material comforts for religious piety, the wealthy Arab who helps his fellow Muslims. The obituaries will differ; some, like the one from the NYTimes, are condescending and try to make a point of dispelling the legend of UBL; others, like the BBC, are more fact-to-fact, with little editorializing. On Day 1, news was abundant and unreliable: news agencies reported whatever they had. The focus was on details of how it happened and the burial process, and U.S. officials’ and world leaders’ reactions and the likely economic impact. On Day 2, more details emerged on how it happened, whether and how “proof” of UBL’s death will be released, and the meaning of UBL’s death for the War on Terror. Politics of UBL’s death became frequent. By Day 3, fringe articles started to emerge, and by Day 4 it was no longer the main story of the day. On these last two days the media and the WH began issuing corrections to its poor information offered on Days 1 and 2. How did the U.S. fail to stop the 9/11 plot? — “The Wall” of not sharing intelligence between government agencies, especially the FBI and CIA. Afghanistan became an essential part of 9/11 because it was the country from which UBL gained strength and was protected from U.S. attempts to kill and capture him. After Soviet withdrawal of troops from Afghanistan, U.S. lost interest in post-conflict reconstruction. Why? — Part of the problem was that Afghanistan essentially continued its civil war: the forces led by Ahmed Shah Massoud were counter to Hekmatyar’s forces, both had designs on taking Kabul and overthrowing Najibullah, the Soviet-backed “leader” of Afghanistan. The U.S., from Bush to Clinton, refused to take sides. — Mission Accomplished Syndrome: the mission was to give the Soviets their Vietnam. It happened. After, it became very hard to convince the WH and Congress to continue the effort, especially in terms of funding (already billions of dollars had been sent). In 1989, “President Bush paid hardly any attention to Afghanistan. CIA officers who met the president reported that he seemed barely aware that the war there was continuing… with Soviet troops gone, Afghanistan had suddenly become a third-tier foreign policy issue” (217). During the political campaign in 1992, neither Bush nor Clinton mentioned Afghanistan very often. — After losing interest, the CIA pulled out and there was no Embassy until 2002. They lost capacity to collect intelligence and infiltrate al Qaeda and other terrorist organizations and the Taliban. — Note that there were dissenting voices in the State Department and the CIA regarding the “new” Afhan policy of doing nothing. Some saw the rise of international terrorism against America and their interests abroad from al Qaeda and other religious extremist individuals and groups. Some of them helped form Counter-terrorism groups within the WH, the CIA and the FBI, but they were not powerful enough to introduce change. The US government relied heavily on Pakistan’s ISI for intelligence information and for conducting their Afghan policies. They also relied on Pakistan assurances that Pakistan does not support terrorist organizations. The U.S. failed to build relationships with any other allies in the region – Iran is hostile and Saudi Arabia had historically been after their own interests, even if it is counter to the U.S.
It’s not clear why, exactly. It was probably a combination of Islamists in the ISI and that the Taliban sprang from within Pakistan (at least, on its border with Afghanistan). Pakistan wants a strong relationship with their Afghan neighbor and the Taliban emerged as a strong movement who would be supportive of Pakistan. Meanwhile, the U.S. relied on assurances from Pakistan that the Taliban is nothing to be scared of. The U.S. knew that the Taliban had an extremist view of Islamic law, banning women from working or being educated, and banning smoking, dancing, music, games and many other entertainments. They knew they were harboring bin Laden. Some within the State Department were convinced that the extremist Taliban would “mature” into a moderate government. Only three countries in the world recognized the Taliban as the legitimate government of Afghanistan: Pakistan, Saudi Arabia and the United Arab Emirates. The U.S. did not. Yet, they only tried economic sanctions and the occasional military strike (in 1998) to force the Taliban to give up bin Laden. President Clinton was concerned with proliferation of nuclear weapons and chemical, biological and radiological weapons of mass destruction in the possession of international terrorists. Though CIA chief Tenet claimed to be focused on terrorism and, indeed, he spent an enormous amount of resources on the issue, he seemed to largely agree with Clinton. Clinton received almost daily warnings of possible terrorist attacks from the CIA, but with little “actionable intelligence,” meaning that the reports lacked specifics on what to protect and when and who, exactly, were behind the allegedly impending attacks. Some government officials wondered aloud whether this was disinformation spread by al Qaeda. “The Wall” of not sharing intelligence between government agencies, especially the FBI and CIA. The story of how the Cole bombing almost led the FBI to stop the 9/11 plot is detailed well in the Looming Tower and “The Agent.” The bottom line was the infighting between government agencies, especially the CIA and FBI. The FBI and the CIA were, at times, at cross-purposes: the FBI and CIA were both concerned about the legal aspects of their pursuit of terrorists, but they had different ends. The FBI wants court cases ending in convictions, and the CIA wants to disrupt terrorist organizations and influence foreign policy at any cost (and within legal means, if possible). Ashcroft, a focus of fire as the commission investigating the attacks resumed its public hearings, said that for 10 years before Sept. 11, “a snarled web of requirements, restrictions and regulations … prevented decisive action by our men and women in the field… Government erected this wall, government buttressed this wall. And before Sept. 11, government was blinded by this wall.” The implication was that bureaucracy prohibited the sharing of information, making it difficult for individual agents to reach out to others from different agencies. Of course, the basic premises of the FBI and the CIA contributed heavily to the Wall. The CIA and the FBI worked together at Alec Station, a counter-terrorism unit. The partnership was shaky. There were plenty of professional and personality conflicts. They cooperated best in the run-up to the Y2K, when there were plenty of reports of incoming attacks. A few were foiled: in Jordan, a plan to bomb a hotel, and in Los Angeles, a plan to blow up LAX.